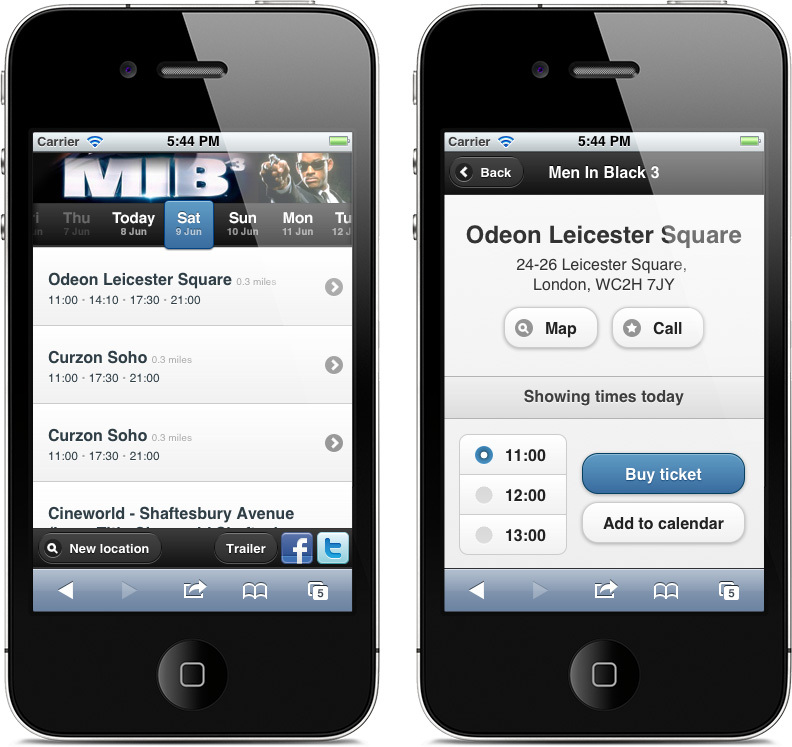 Build a location aware mobile web-app that enables customers to search for local cinemas showing a particular film. This service would be deep-linked to from targeted mobile advertising. Idea Junction developed a web-app platform and management system to augment rich-media advertising of film releases on mobile. We worked with existing APIs and tailored a unique film-specific breakdown of the data, output to a touch-friendly interface in multiple European languages. The service is the missing link between driving trailer views and driving actual cinema footfall and also highlights the effectiveness of advertising in terms of positive purchase intent.